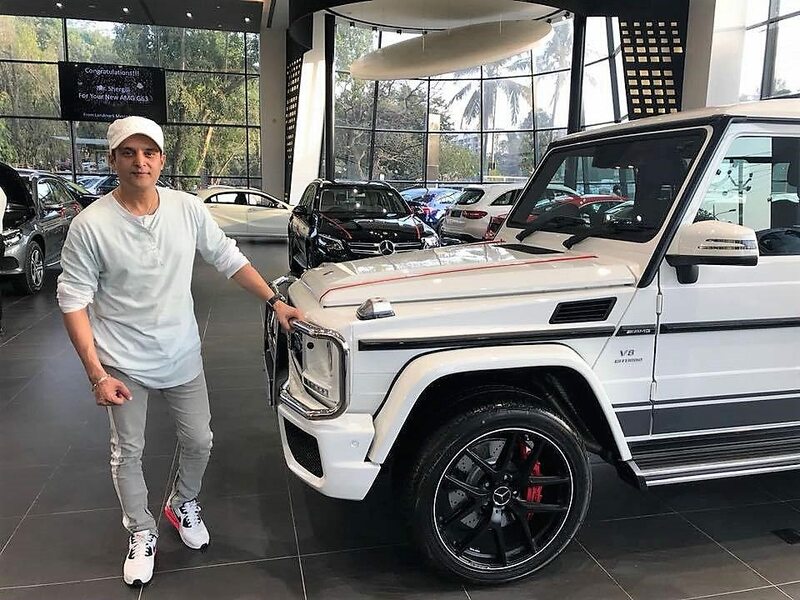 Bollywood actor Jimmy Sheirgill got himself a brand new Mercedes G63 AMG. Keeping benchmarks high all the time, Jimmy Sheirgill is known for his role in Tanu Weds Manu in Bollywood. Also, he is undoubtedly the best Punjabi industry actor with a wide array of roles under his name. The energy with which he performs his characters now can be seen through his Classic White G63 with eight aggression filled cylinders under the SUV body. The purchase was made on Akshaya Tritiya through Landmark Cars, Mumbai. Mercedes G63 AMG, in stock condition, is priced at INR 2.19 Crore (ex-showroom). 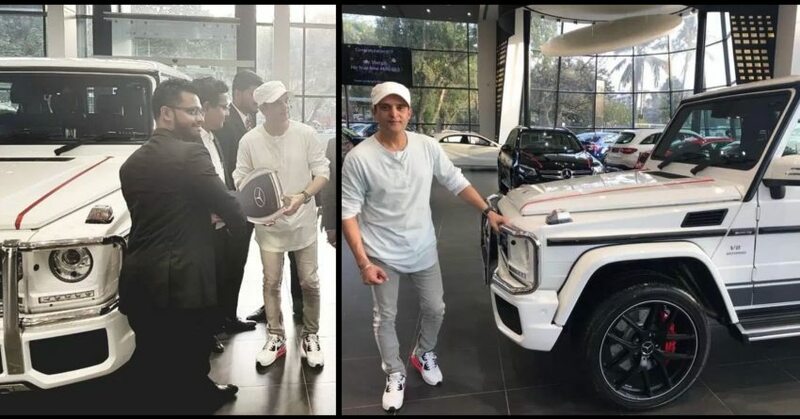 Apart from his new acquisition, Jimmy Sheirgill owns a White Toyota Land Cruiser and Black Range Rover Sport. That clears one fact that he loves SUVs more than any other car type. More than that, powerful engines feel like his first choice as both earlier cars are available with huge diesel engines. This time, he went for even more powerful option, but packed under a petrol motor. G63 AMG comes with 5461cc engine producing 563 BHP at 5500 rpm and 760 Nm at 2000 rpm. The engine comes mated to a 7-speed automatic gearbox. This results in a claimed 210 kmph top speed. The car takes just 5.4 seconds to reach 100 kmph from standstill. Those feeling low with these values will be shocked to know that even after being an AMG, G63 weighs 2550 kg in standard condition. It rides on 275/50-20 inch wheels and leaves nothing behind when it comes to luxury wrapped ride on any terrain. 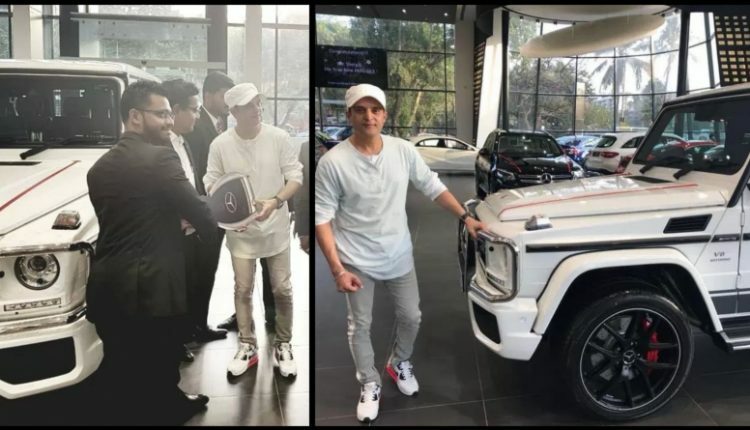 The permanent 4×4 G63 AMG can also be bought in Crazy Color Edition for a higher price but he preferred simplicity over those eye catchy Orange or Green exterior. 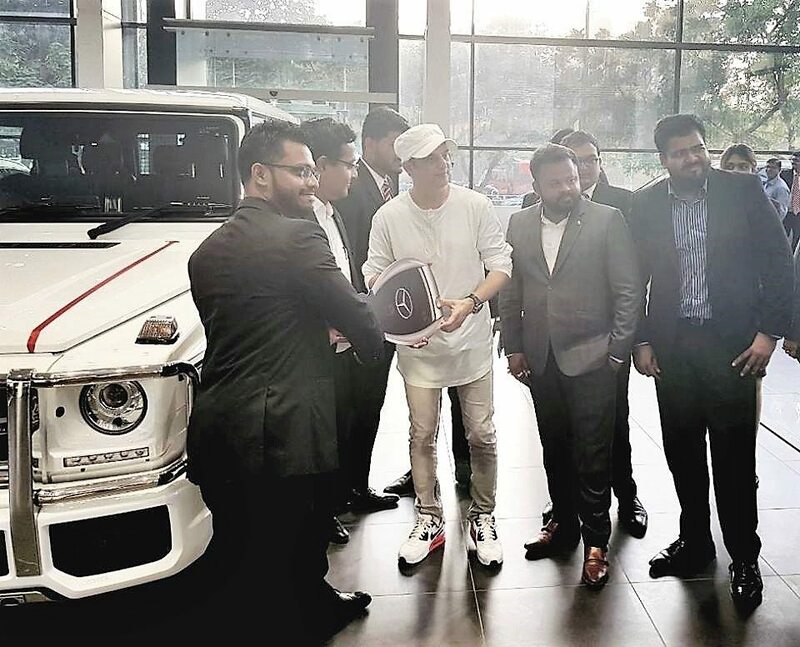 Bollywood actors are on a shopping spree as Farhan Akhtar recently got his hands on a brand new Jeep Grand Cherokee.